The Mossi, also known as the Mole or Mosse, are the largest people group in central Burkina Faso where they reside in the villages along the River Basin. The Mossi speak the Mossi language, also known as Moore, which is spoken in Burkina Faso and also in Ghana and Ivory Coast. Traditionally, from birth until death, major changes in a person's life are marked with formal rites of passage. A Mossi baby is formally presented to the community three days after birth for a boy, and four days after birth for a girl. At that time, the baby's name is announced. The child is formally welcomed into its family and takes the family name. Other important rites of passage include funerals and becoming an adult (for both boys and girls). Marriages are often arranged by the family. The majority of Mossi adhere to Islam. However, a small percentage are Christians. Pray for God to intervene into the hearts, minds, and lives of Mossi people revealing the ultimate creator God has become intimate via the incarnation of Jesus Christ. 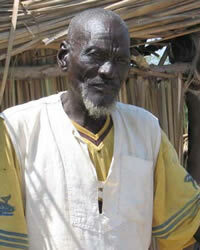 Pray Christians will become friends with Mossi people sharing the message of Christ in both word and deed.